Many like to picture Cuba as a humorless place under Fidel?s watch, in spite of the long tradition of ?choteo,? clever Cuban banter, and despite the plethora of jokes about the socialist economy and social problems. There is the one about the Canadian tourist in Havana who enters a record store and asks if they have the song ?Morir de amor? (To die of love) by The Fabrisa Sisters ?en 45 revoluciones.? (in 45 revolutions/a 45 rpm record) The clerk replies: No, we don?t have that one but we do have ?Morir de hambre? (To die of hunger) by The Castro Brothers ?en una sola revoluci?n? (in just one revolution). In 1998, the Pope?s visit unleashed a fresh round of humor. One story has the Pope looking out at the crowds and saying ?Car?sima, car?sima? and Havana jineteras responding ?No, Papa, Barat?sima, barat?sima? (Cheap, really cheap). Another joke contrasts the perspectives of Cubans on the island and those in exile when the Pope?s cap blows away as he rides along the Malec?n with Fidel. When the cap alights on the ocean Fidel rushes to get it and walks on water to retrieve it for the Pope. Three responses explain the astonishing feat. The version offered by the Holy See is that the Pope?s power is so strong that it enabled Fidel to walk on water; the Cuban version is that the power of the Revolution is so great that Fidel could walk on water; and the exile version is: ?Now Fidel doesn?t even know how to swim!? A Canadian visitor even remembers Cuban wit put the test in 1995 when a man writing in protest on a wall in Santiago (Death to F?) ?Que muera F?. ?—he hadn?t gotten farther—was tapped on the shoulder by a policeman and without hesitation asked ?Y c?mo se deletrea? ?Es Flinton o Clinton? (And how is it spelled? Is is Flinton or Clinton?). Fast forward to the 21st century and we find humor in a new guise—in the stories of author Nancy Alonso, who puts the observational skills of her physiology training to work diagnosing the Cuban situation with a sly but therapeutic approach. Alonso?s humor is instructive as a contrast to the often angry and bitter tone of many of Cuba?s prominent authors and in contrast to the dark view of Cuba given by Achy Obejas in Havana Noir, published in 2007. In Havana Noir, an edited collection of short stories that includes many famous names as well as Obejas herself, the introduction states: ?The noir, it seems, may be particularly apt for Havana: Descriptive rather than prescriptive, noirs explore the symptoms of an ailing society but seldom suggest remedies?. In fact the salient humor in Obejas?story, ?Zenzizenzic,? is the familiar joke that when one asks a young person in Cuba what he or she wants to be when they grow up the answer is: ?a foreigner.? Perhaps most importantly Alonso serves as ironic counterpoint to the harsh rhetoric of U.S. critiques of Cuba. Alonso?s stories in her second collection, Closed for repairs, offer a nuanced description of Cuba today that refutes the humorless stereotypes of the island put forward by Uncle Sam. Alonso?s book is, in essence, a dose of humor —that addresses serious problems —in the midst of c?lera (blasts of anger) from the neighbor up north. The punitive policy toward Cuba and Cubans that has escalated under the Bush administration is evidenced not only by the curtailing of family visits by Cuban Americans to their homeland and by travel restrictions in general but also by the U.S. State Department?s blanket denial of visas to Cuban scholars to attend the Latin American Studies Association conferences of 2004 and 2006. In 2007, conference organizers moved the meeting from Boston to Montreal to allow Cuban academics to attend. All this is in striking contrast to the policy in 2000 when LASA held its congress in Miami and over 100 Cuban scholars attended. In recent years the United States strategy has been to keep academic exchanges at bay, keep families apart, and even —for a while—keep books from the so-called ?Axis of Evil? countries out of circulation in the United States. Nancy Alonso?s fiction proves that humor can thrive aside from jokes and that humor can be a part of an honest look at problems. 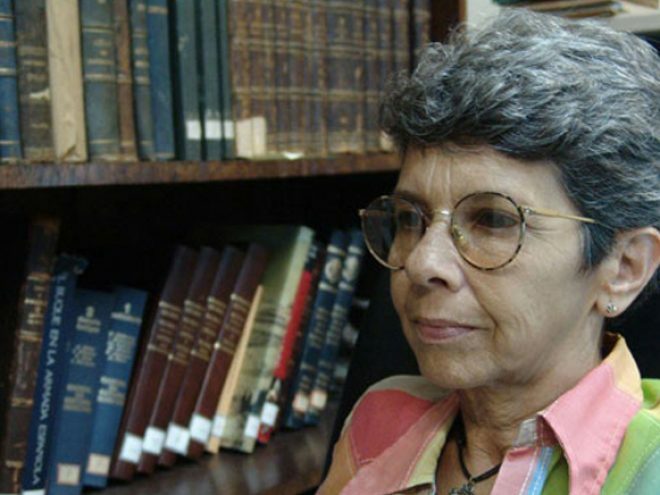 Her work is thus an antidote to both the dark descriptions of life in Cuba by Cuban writers and to the angry tone of recent U.S. policy towards Cuba and characterizations that paint Island life as nothing but despair. Although Alonso?s first book, Tirar la primera piedra (Casting the First Stone) included suicide, estrangement, and the specter of rafters fleeing the stresses of the ?special period,? at least one story, ?La paja en el ojo ajeno? (Passing Judgment) gave a hint of the humor that was to come. In ?Paja? a thoroughly hypocritical and machista bureaucrat is shown in a way that lets us chuckle at how cleverly the author has presented his manipulations and how effectively she has skewered an all-to-common type. Cerrado por reparaci?n, published by Ediciones Uni?n in Havana in 2003, launched Alonso as a superb observer of the human condition, as a master of exposing foibles, and as a teller of tales with humor. A translation, Closed for Repairs, was released by Curbstone Press in 2007. The book begins with a quote from Oscar Wilde: ?The world has always laughed at its own tragedies that being the only way in which it has been able to bear them.? The premise is thus from the very start that laughter is the best medicine. Perhaps no story illustrates this as well as ?Mot?n a bordo? (Mutiny on Board). Here Alonso details Cuba?s chronic transportation woes but lets both passengers and readers laugh along the way. In ?Mutiny? the narrator sets the stage by having a line of anxious riders waiting for the only bus (the #58) that goes as far as Coj?mar on a cloudy day that promises rain. Sure enough rain falls, and in the meantime a group of ?supposed? employees sneak aboard, taking up the rationed spaces. The bus driver and fare taker collude to make life difficult for the weary and drenched prospective passengers, who had finally clambered abroad in disorderly fashion, by asking them to go back outside and form an orderly line. The riders, bound by adversity, band together and refuse to leave, and the issue comes to the fore when the bus driver ends up taking them to the police station. An eclectic cast of characters leavens the story. Above all, Alonso?s humor is sly. There is no slapstick and none of the standard Cuba jokes appear. Instead Nancy Alonso satirizes with subtle strokes patronizing officials, unscrupulous employees, self-righteous bureaucrats, and even a husband blissfully unconcerned about his wife?s daily struggles to get to work. Another element of humor in this story is the exchange of conversation among the characters. When two passengers with disabilities vie for a seat, the following exchange takes place. ?Please get up, can?t you see I?m handicapped?? said a woman with dark glasses to the man with the missing leg, as she got on the bus. ?Me too,? was the laconic response of the man. ?Do you have an I.D. that identifies you as handicapped?? insisted the woman in the dark glasses. ?Can?t you see that I?m missing a leg?? he replied with surprise. ?And can?t you see that I?m visually impaired?? she pointed to her glasses. Later when the supposed employees are asked to show I.D. cards to a policeman who has come aboard to try to resolve things, there is this exchange. ?Please show me your employee identification cards,? asked the lieutenant to the the discomfort of the driver, the fare collector, and the inspector. ?I have my card from the National Association of the Blind and visually-impaired,? said the little blind lady, who appeared to be hard of hearing as well. The ambience the author creates helps to imbue the story with levity as well. Early in the story the bus driver, already in antagonistic mode with the passengers, turns on a tape player real loud and the voice of Brazilian crooner, Roberto Carlos, drowns out everything. A short while later, to intensify pressure on the riders, the driver shuts the doors to the bus and turns up the volume on the Roberto Carlos tape. When the driver himself can no longer take the heat from the enclosed and non-moving bus, he opens the doors but leaves the music playing. While the passengers pass the time and buy snacks for sustenance from nearby vendors, they discuss suffering the endlessly-running Roberto Carlos cassette. As the bus driver and fare collector conspire against the passengers, the songs of Roberto Carlos continue to play. Then when an inspector shows up to support the tactics of the driver and fare taker, everyone gets a break from Roberto Carlos. Once the riding public has been vindicated by the inspector and the bus is finally on its way to Coj?mar, the little blind lady asks the driver: Why don?t you put on some music?? The driver does nothing but the ?long-haired? guy among the passengers begins to hum a familiar Roberto Carlos song about a million friends and soon everyone is joining in and producing ?an even better rendition of the chorus than the chirping birds of the original.? One probably has to have heard the songs of Roberto Carlos to fully appreciate this sequence but the prospect of hearing Dean Martin sing ?When the moon hits your eye like a big pizza pie that?s amoreee? over and over and at top volume will give an idea of what the passengers endured. Closed for Repairs has proved to be a vindication of humor over hostility, Nancy Alonso was able to attend the Latin American Studies meeting in Montreal in September of 2007 and to do a reading and book signing at a local bookstore. Friends and fans videotaped the Montreal session, making it possible for Nancy to appear via video for readings of the translation in the United States. Thanks to Nancy Alonso, contemporary Cuban humor has triumphed in ?tiempos de c?lera? (times of anger) making for a happy ending for readers.